The Harper is a sleeveless dual functioning maternity & nursing dress. Features ruched side seams and layered panels over the bust. (Lift bust panels for breastfeeding access). 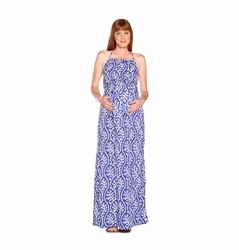 A stylish dress which can be worn during and after your pregnancy. 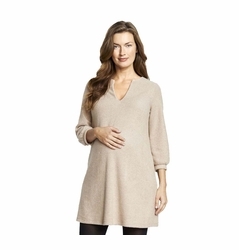 Made from the softest jersey this beautifully cut wrap dress offers an elegant option for professional pregnancy style. Dress up with some sparkle and heels and it also doubles up as the perfect evening outfit. Excellent option for nursing as well with pull aside access. Worn by the stylish Duchess of Cambridge (in Navy Dot), Kate Middleton, as seen in Women's Day magazine, Australia. The Leah dress features layered chiffon fabric. The sleeveless design has a high-low hemline. After baby, keep this in your wardrobe...it looks great pregnant or not. The dress zips in the back. 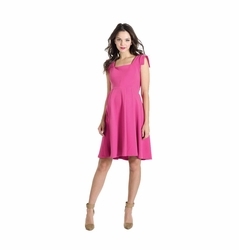 This gorgeous sleeveless faux-wrap dress from Lilac will work for maternity and afterwards. Scoop-front hem and pleats along the side offer maximum flattery to the body. Detailed shirring at the shoulders gives a feminine touch. Super soft fabric in eye catching prints. The high-low asymmetrical hemline of this stunning dress shows off your legs while still giving you the more sophisticated feel of a long dress. Beautiful ruffles frame the face while the sheer fabric provides elegance and lightness. Perfect for your baby shower or to wear as a guest at a wedding. This lightweight dress will keep you cool and comfortable while looking amazing and stylish! The best thing is that this dress can be worn long after baby is born...continue to wear it as a loose, flowing dress or cinch the waist to show of your post pregnancy figure! 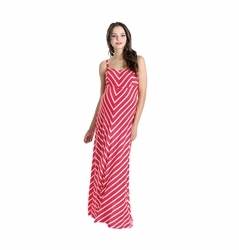 Looking for an amazing summer dress that is perfect for a dressy occasion? This one is perfect! The ruffle faux wrap dress is gorgeous, designed in a weightless fabric that is feminine and will help you stay cool on hot summer days. Perfect dressed up for your own shower, a wedding, brunch or church but can easily be worn for more casual occasions with cute flip flops. The dress is double layered....layer near the skin is an opaque fabric with a silky feel while the outer layer is a wispy translucent fabric. The empire waistband is beautifully gathered and the straps are wide enough to be bra friendly.